When was the last time you reviewed your Twitter profile? Do you even have a tweeting strategy? While Facebook is a great place to hang out with friends and family, Twitter is the best place to find information and make new connections. Like any social platform, you want your Twitter account to be professional and show your personality. You can meet new people, engage followers, ask and answer questions, and perhaps pick up some new readers and/or clients. Here are 7 things you can do to make the most out of Twitter. 1. Post a recent profile picture. Others will be more likely to engage with and follow you, if they can identify you as a real person, rather than a logo. One exception: if you are a caricaturist or someone who draws self-portraits, an artistic rendering of you will serve to showcase your abilities. 2. Upload a branded header photo. You want the colors and tone of your website to match all of your socials. That way, people can identify you from a mere glance. Put your logo, as well as an info you want to call out - like your most recent book - in your header. 3. Write a concise bio. You have 160 characters to show who you are. You're a writer. You can do it! 4. Fill out the rest of your profile. Be sure to include location and website. Also, if you are so inclined, add emoji's to your profile name. It will really help you stand out. 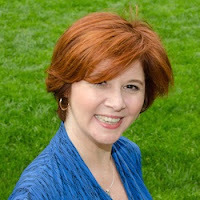 Note: I use Gold Stars in my @TheDEBMethod, @GoalChat, and @WriteOnOnline profiles. 5. Follow People. Obviously you want to follow and support your friends, but also use Twitter to make new ones. Follow your favorite authors, magazines, writers, news sources, etc. Connect with anyone you believe you would benefit from following and those you believe would benefit from following you. You don't want to follow too many people in one day, tho. It will look like you are spamming and Twitter may give you a time out. 6. And Create Twitter Lists. Create public and private lists of the people you follow. Organizing your feed in this way makes it easy to find tweets from the people you want, when you want them. For instance, create a list of podcasters or interviewers who pose questions to people with your expertise. Or if you have a local blog, create a list of places where you live. That way you can see what's going on, retweet valuable information to your followers, and reply if there's an area-specific question. To create a list, go to your profile, click on lists, and select, Create new list. Name it, describe it, and decide if you want it to be public or private. Then add people. Hint: Keep most of your lists public. The only reason to create a private list is if you want to keep an eye on your competition's tweets. 7. Tweet. You now have 280 characters, as opposed to the original 140, so make them count. Feel free to add pictures to make your tweets stand out. You can add videos and GIFs too. Tweet your articles and other information related to your expertise. Reply to requests for information, ask people when you need things, and participate in Twitter chats. You can promote yourself, as long as you don't do it all the time. Remember, value first. Twitter is a valuable too. Use your profile to highlight who you are and use your Tweets to share what you know. Share information and have conversations with your followers and friends. You never know where a tweet may lead. Do you use Twitter? What's your handle? In what ways do you use Twitter for your personal or professional life? Very cool. Thanks for sharing, Terry! Debra, thank you for such a helpful post at a time when I need it the most. And Terry, thank you for sharing your tips. Both of you have helped this person! Yay! So happy to hear it! If you have any Twitter questions, feel free to reach out! 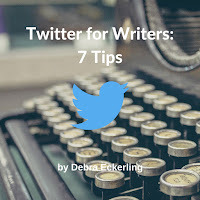 Debra, these are such helpful tips, not just for Twitter, but for all social media networks and even website. It always amazes me how many authors and even business people (I'm working with a chef) don't present themselves professionally online. And, lots of people don't realize the importance of creating a brand. Thanks for sharing. Thanks, Karen. Agreed. People often tell me they think it's too late to start creating an online persona. It's only too late if they never do it! Thanks so much for this Debra - very timely for me! Happy to help, Deborah. You are welcome.